Base for two Airpots with accessories and ingredients. 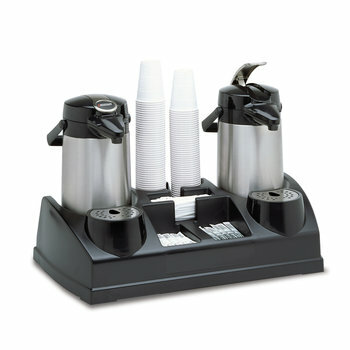 Allows for serving fresh coffee at any moment, anywhere. Airpots must be ordered separately.